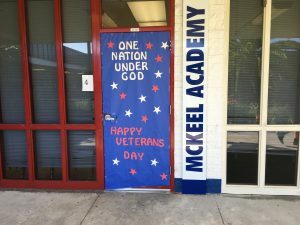 McKeel Academy of Technology honors Veterans and K.I.S.S. 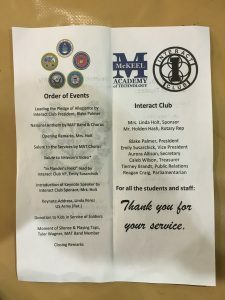 You are here: Home / News / McKeel Academy of Technology honors Veterans and K.I.S.S. 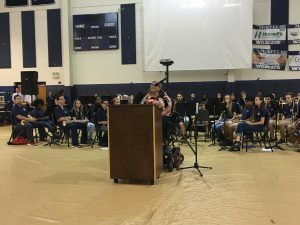 Thanks to Linda Holt from the McKeel Academy of Technology in honoring Kids In Support of Soldiers during their Veterans Day assembly. 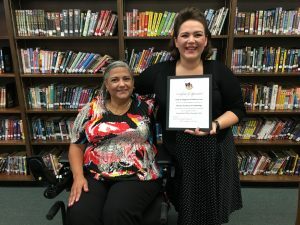 Great presentation from the choir, readings from some of the students, recognition of Veterans from all of the military branches and a speech from Linda’s mother that was fantastic. 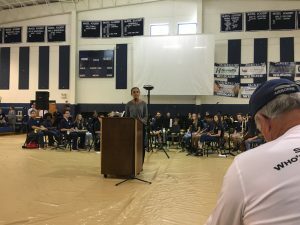 So thankful for their support and commitment to the men and women of the military that serve this great country and help to protect it.